World-renowned for miles and miles of beaches on both its Caribbean and Pacific coastlines along with a wealth of biodiversity, the Central American country of Costa Rica offers visitors an unparalleled vacation destination. The country is home to several active volcanoes, large areas of protected jungle teeming with unique wildlife and offers outdoor enthusiasts a wide range of exciting activities. You can go hiking through superb scenery in Arenal Volcano National Park, visit the Monteverde Cloud Forest Biological Reserve, admire orchids and butterflies on your honeymoon, and see over 500 species of birds. Other activities in Costa Rica include visiting the cultural and historic museums in San Jose, kayaking through mangrove swamps, and learning how to surf on one of the world’s best surfing beaches. Located well off the beaten track in the Amarillo Valley of the Central Highlands, Bajos del Toro is a relatively undiscovered paradise for nature lovers and all outdoor enthusiasts. Hikers in particular are drawn to the area to explore the many rugged trails through the pristine rain forest and up the back of Poas Volcano. Other exciting activities include trout fishing, mountain biking, river rafting, and horseback riding. Avid adventure seekers can try the thrilling 300-foot waterfall rappel into the crater of an extinct volcano. The extremely scenic drive from San Jose to Bajos de Toro takes around 90 minutes and you can stop along the way to admire lovely wooden crafts in the town of Sarchi. Located approximately 45 miles east of San Jose, Turrialba Volcano National Park protects one of Costa Rica’s least visited active volcanoes. 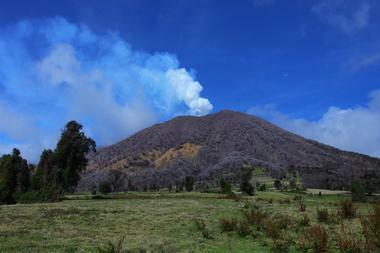 The Turrialba Volcano reaches an elevation of over 10,000 feet and is covered in verdant montane rain forest. Prior to 2016, the last time that a major eruption occurred was in 1866, and it was possible to hike to the summit along a variety of scenic trails. Along the way you could explore various lava flows and at the apex you were rewarded for your efforts by brilliant 360-degree views. Since 2016 Turrialba has produced several substantial eruptions, some of which caused the closure of the airport and deposited ash as far away at San Jose, and the national park remains closed to visitors until further notice. You will find the fascinating Butterfly Conservatory located close to the shores of beautiful Lake Arenal in the Alajuela Province. 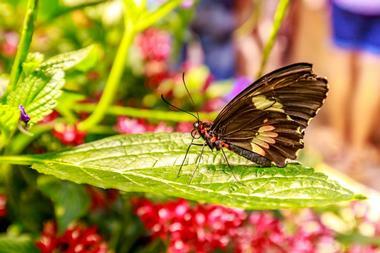 Within the conservatory, nature-lovers of all ages can take an interesting and educational tour, which will introduce you to the life of butterflies and other creatures that inhabit the four different microclimates found around the lake. You can visit the greenhouses where the butterflies are bred, the frog habitat, and an orchid exhibition as well as follow the Rainforest River Walk, where you have the chance to spot monkeys, sloths, toucans, and parrots. 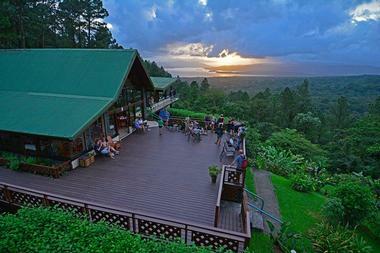 From the Volcano View Gazebo you can get an excellent view of Arenal Volcano, Arenal Lake, and more. Located in the Arenal-Tempisque area, the Curi Cancha Reserve is a privately owned nature reserve that covers 205 acres of tropical cloud forest, which is home to a wide variety of birds, reptiles, and small animals. Curi-Cancha is the perfect place to get back to nature and do some serious bird watching, either on your own or with the help of a specialist guide who knows just where to find all the shy and rare species. 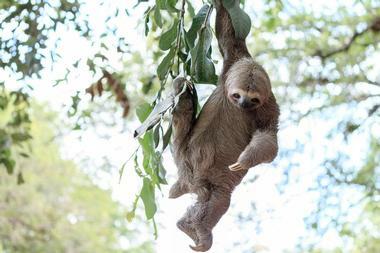 You can go hiking along 7miles of trails, which will take you through virgin rainforest as well as some secondary forest – be on the lookout for some really unusual mammals, such as the armadillo, the sloth, and three species of monkeys. The reserve offers several guided tours, including a rather magical night tour. Another of the natural gems you will find in the Alajeula Province, the La Fortuna Waterfall is one of Costa Rica’s must-see attractions. The waterfall is located in the heart of the lush rainforest at the base of the (dormant) Chato Volcano in Arenal Volcano National Park and is reached via a 20-minute hike through the lush forest. On arrival at La Fortuna Waterfall, you will find a splendid 75-meter jet of water that drops into a beautiful natural pool, which is perfect for a refreshing swim. 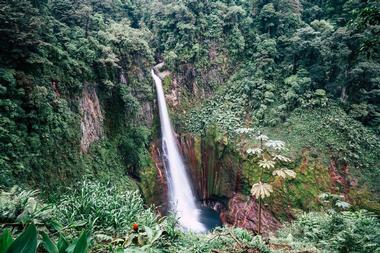 Many visitors combine a visit to the waterfall with a hike up the Chato Volcano – you can call in at the visitors center to get a map and buy some souvenirs. La Paz Waterfall Gardens is a privately owned ecological center that features magnificent rainforest scenery combined with an animal sanctuary. The complex includes both rainforest and cloud forest and there are over 2miles of hiking trails to be explored and a large number of educational animal exhibits, which include the aviary, the butterfly observatory, the serpentarium, the frog exhibit, and the jungle cat exhibit. You can probably see a bit of everything in about 2hours, but a half-day excursion is recommended to get the most out of your visit. Highlights include hand-feeding the humming birds and seeing rare South American jungle cats, such as the jaguar. Located in the heart of San Jose, La Sabana Metropolitan Park is an oasis of a green recreational space nestled in the concrete jungle of high-rise office blocks. The park is very popular with walkers and joggers as well as office workers, who escape into the open air to enjoy their lunch hour. At the heart of the park lies a scenic lake, where you can hire a paddle boat, and there are also tennis courts, a football field, and roller-skate paths. Children can enjoy pony rides, a children’s playground, and lots of open space for running around and letting off steam. La Sabana is also home to the National Football Stadium. 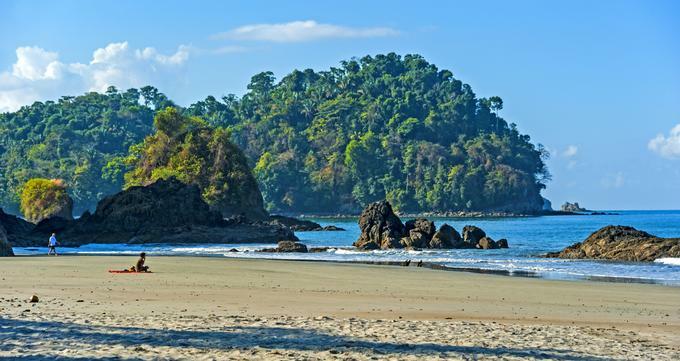 Located along the Pacific coastline of Costa Rica, the Las Baulas National Marine Park is named for the leatherback turtle (baulas), which it endeavors to both showcase and protect. The park encompasses Tamarindo/Playa Grande Beach, where leatherback turtles have been coming ashore to lay their eggs for thousands of years. 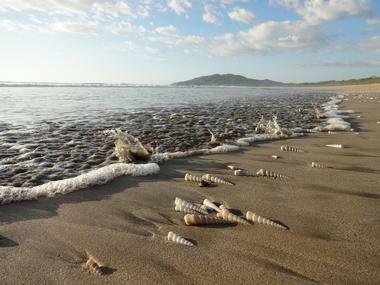 At Las Baulas you can go on a night Turtle Tour (after a briefing session) in the hope of seeing one of these enormous sea creatures coming ashore to lay her eggs, or perhaps you may see the baby turtles making their perilous way back to the ocean. The park is also home to mangrove swamps, which can be explored by sea kayak, and you can enjoy beach walks, swimming, and surfing during daylight hours. In the beautiful Monteverde Cloud Forest Biological Reserve you can discover a treasure trove of amazing flora and fauna that is seldom encountered outside of this remarkable area of biodiversity. You can explore the reserve on foot along a network of more than 8 miles of hiking trails, enjoying the opportunity to see thousands of species of endemic plants (including orchids) and a variety of small animals. To help visitors get a better understanding of the amazing riches around them, the reserve offers guided birding tours, natural history tours, and even night tours, when all the nocturnal creatures come out to play. Visitors will be pleased to know that their entrance and tour fees all go towards research, education, and conservation. 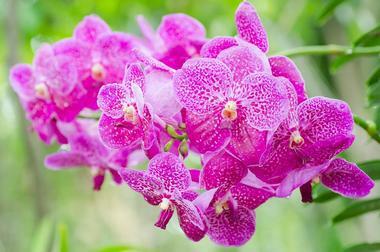 Located in the heart of Santa Elena, the Monteverde Orchid Garden offers visitors the chance to feast their eyes on a huge collection of over 460 species of orchids against the backdrop of their natural forest habitats. The collection is on display all year round and regardless of when you visit you can be assured that at least a quarter of the collection will be in flower. You can join a guided tour in either English or Spanish, which will introduce you to the history of the magnificent blooms and teach you how to care for them at home. The garden boasts wide paved pathways that are wheel-chair and push-chair friendly so that everyone can come and enjoy the beautiful collection. Located a few blocks west of La Sabana Park in the heart of San Jose, the Museo de Jade is an interesting and informative archaeological museum that traces the pre-Columbian history of Costa Rica. Not only will you find an impressive collection of jade jewelry and artifacts, you can also learn about why this particular stone was so revered throughout the history of the country and the part it played in trade. In addition to the jade collection, you can also see various decorative artifacts dating back to between 500BC and 800AD. You will probably need to spend about an hour to see most of the collection – entrance is free but admission is by appointment only. Housed in what was once a notorious prison, the Museo de los Ninos is a children’s museum dedicated to fun, laughter, and learning. Families can have hours of fun exploring the original cells of the old military penitentiary, which have been converted into 40 themed, interactive exhibits. 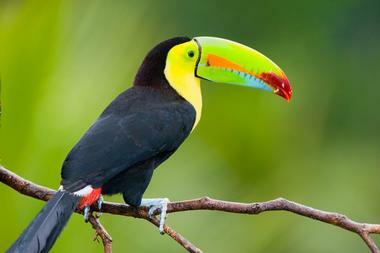 Children can learn about everything from astronomy and science to natural history and everyday life in Costa Rica. A few of the highlights your children will love include the earthquake simulator, the zip lines and suspended walkways, and the dinosaur exhibit. 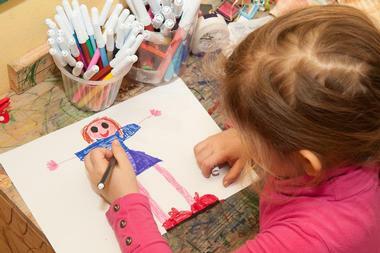 The museum hosts regular special exhibitions, particularly during school vacations, when it can get very busy indeed. You can avoid ticket queues by booking online. The National Museum of Costa Rica is housed in the old Bellavista Fortress, which was built in 1917 and was used a military barracks. Located directly opposite the Legislative Assembly and next door to the Jade Museum in the city of San Jose, the museum documents and showcases the history and culture of Costa Rica and has an expansive collection of archaeological treasures from all over the country. Many of the items on display date back to pre-Columbian times (prior to the Spanish arrival in 1500AD) and more recent additions include a very good butterfly garden and insect exhibit. 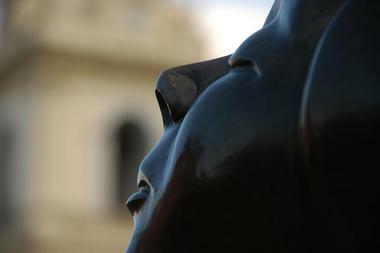 The museum is closed on Mondays and public holidays. Attracting all art lovers and anyone interested in modern design innovation, the Museum of Contemporary Art and Design is housed across a cluster of buildings in San Jose’s historic downtown area. You can admire works by predominantly Costa Rican and other Central and South American countries in the museum’s large permanent collection, while regular temporary exhibitions are held in four special exhibition spaces. 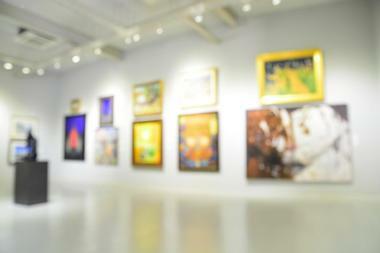 The museum also has an auditorium and you can access an extensive website and video library featuring past exhibitions. You can join a guided tour, attend a lecture or workshop, or simply explore at your own pace. If you fancy swimming under a genuine rainforest waterfall, you need to add the Nauyaca Waterfalls to your Costa Rica itinerary. Located in the South Pacific area of Costa Rica, the Nauyaca Waterfalls are pretty impressive – the main fall drops over 140 feet into a large water-carved pool, complimented by a second 60-foot tiered waterfall. In addition to the enormous main pool at the base of the falls, there are several other smaller pools where you can relax and enjoy the warm waters of the Rio Barucito. However, getting to the falls can be something of a challenge – you need to hike in and out –about 4miles each way or sign up for a horseback tour, which includes a genuine Costa Rican lunch. Parque Francisco Alvarado invites all nature lovers and budding gardeners to come and be inspired by the work of artist and topiary master Evangelisto Blanco. 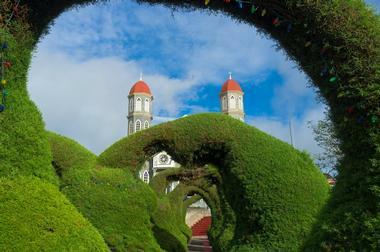 Visitors to this unique topiary park in the city of Zarcero can walk through a green tunnel of living arches, which have been coaxed into their present shape since the 1960s. In addition to the impressive green arches, you can also admire a variety of large topiary animals and people of all shapes and sizes. The park lies opposite the ornate pink and the blue Iglesia de San Rafael Church, which was built in 1895 and is also well worth a visit while you are in Zarcero. 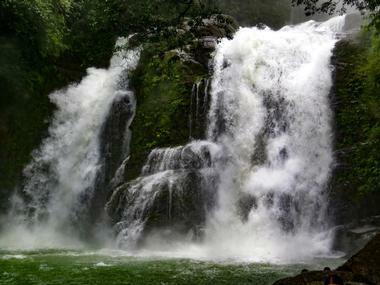 Catarata Del Toro is a private reserve in the central mountains of Costa Rica, near San Jose International Airport. The star of the reserve is a magnificent waterfall, the largest in the country, tumbling down into an extinct volcano crater. All around you is breathtaking beauty: The rock formations, the lookouts, and the incredibly diverse flora and fauna. 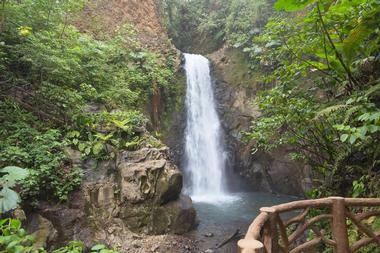 Catarata Del Toro Adventures enables visitors to explore this lush area while they rappel, swim, hike, take photos, watch birds, or enjoy a fresh meal at the open-air restaurant. If you want to stay longer, the reserve offers simple, rustic rooms where you can replenish your energy and continue your exploration another day. 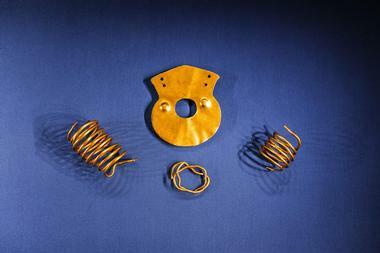 When you need a break from surf, sun, and hiking, you should consider a visit to the Pre-Columbian Gold Museum in San Jose, which is home to an astonishing 1,600 individual gold artifacts that date back to the pre-Columbian era. You can start your visit by watching a short orientation video (in English), which will pave the way for you to explore the exhibits in your own time – audio guides are available for rental and you can pre-book a guided tour if you prefer a more in-depth experience. Located in the same building, you will also find the National Coin Museum and the Casa de Moneda, which documents the history of minting in Costa Rica. 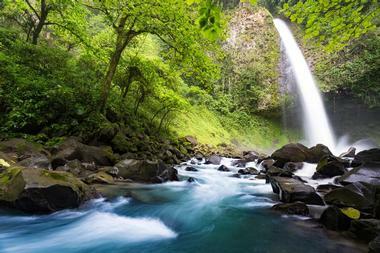 Lying in the heart of the verdant rainforest in Tenorio Volcano National Park, the Rio Celeste (Blue River) is one of the most remarkable natural assets of Costa Rica. It is thought that the surprising azure color of the river is caused by minerals in the rocks of the river bed, combined with reflected sunlight. 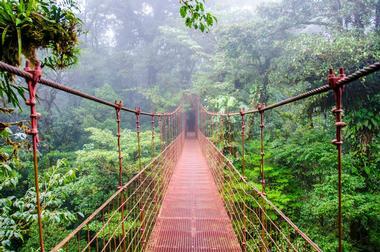 For one of the most rewarding photo opportunities of your Costa Rica vacation, you will need to take on a fairly challenging 4.5 mile hike – the trail will reward you with views of virgin rainforest, thermal springs, and a startlingly blue lagoon. 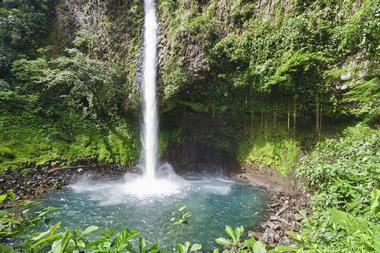 A shorter 1-mile hike directly to the Rio Celeste Waterfall is also available from the entrance of the park. 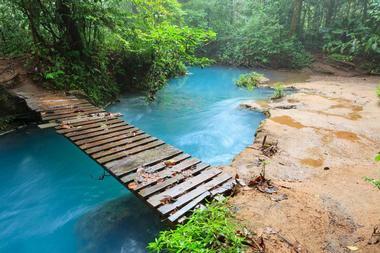 Organized tours to Rio Celeste are available from La Fortuna. 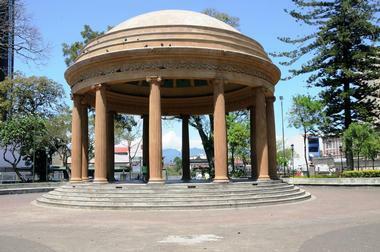 The Simon Bolivar Zoological Gardens is located in downtown San Jose, where it covers an area of around 14 hectares, part of which is a botanical garden. The zoo serves as a sanctuary to orphaned and injured wild animals, but there is no doubt that it is not one of the more progressive cage-less zoos – if you hate to see wild animals in cages, then this one is probably not for you. However, the zoo is very popular with local families and does give children the opportunity to see a wide variety of animals including birds, fish, capuchin monkeys, and a lion within a manageable space. The beautiful National Theatre of Costa Rica is located on the southern side of the Plaza de la Cultura in San Jose and is one of the city’s most notable buildings – a must-see for all lovers of art and architecture. 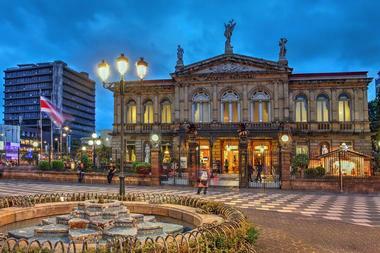 The theatre was built in 1897 in the neo-classical style and features an elaborate marble lobby and auditorium decorated with paintings depicting 19th-century life in Costa Rica. 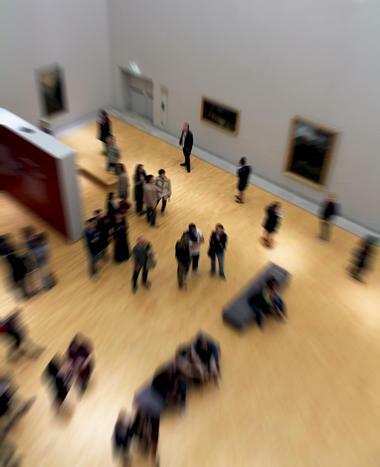 Your entrance fee entitles you to a free guided tour (every hour, on the hour), which will greatly enhance your visit. If you can spare the time, you can attend one of the many scheduled performances at the theater, which has excellent acoustics. Located in Alajuela, the Territory of Strays is a rather unique dog shelter, which has been established in response to the vast number of stray dogs that roamed the streets of Costa Rica. 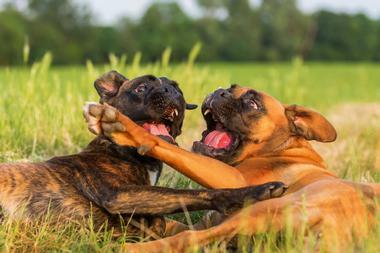 Animal euthanasia is a criminal offence in Costa Rica and although several animal shelters take in stray dogs, most mixed breeds will never be adopted. At Territory of the Strays one enlightened veterinarian hit upon the idea of advertising one-of-a-kind unique breeds of dogs with invented names, which were suddenly far more attractive than simple mongrels. Adoptions increased dramatically and now the shelter arranges mountain hikes, where the public can go walking with hundreds of stray dogs. 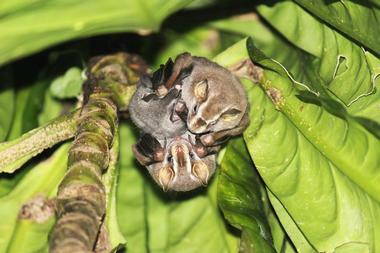 At the Bat Jungle in Monteverde you can learn everything you ever wanted to know about the wonderful world of bats. Visitors can first tour the information center, which will give you a general background into the life of these fascinating mammals. The actual “jungle” consists of a dark walkway through the bat enclosure, where around 90 live bats go about their daily routines against the backdrop of a simulated jungle environment. You can view the bats using UV torches (so as not to disturb them) and even listen in on their socializing by means of an ultrasonic microphone. Knowledgeable and enthusiastic guides present 45-minute guided tours that will doubtlessly enhance your visit. The Basilica of Our Lady of the Angels is a Roman Catholic cathedral dedicated to the patron saint of Costa Rica, located in the town of Cartago. 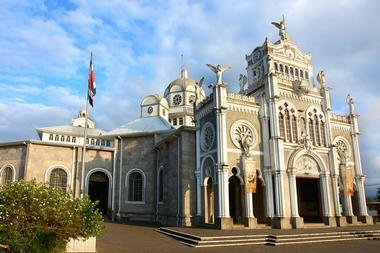 The church was built on the spot where the small statue of the famous Black Virgin was discovered in 1635 and is a place of pilgrimage for Catholics from all over Costa Rica. The basilica was built between 1912 and 1924 and is an impressive structure in the neo-Byzantine style. You can visit the cathedral to admire the architecture and acoustics, see the stained-glass windows, and perhaps dip your fingers in the famous holy water font. The famous statue of the Black Virgin is not on display however – it is kept locked away at the altar. Miles and miles of brilliant beaches are one of Costa Rica’s prime attractions on both the Caribbean and Pacific coastlines, beckoning visitors to come and enjoy a perfect beach vacation. The Peaks ‘n Swells Surf Camps are located on the renowned Nicoya Peninsula, which is blessed with some of the world’s most consistent surf breaks – a pure paradise for surfers of all levels. At Peaks ‘n Swells’ fully inclusive camps, you can enjoy professional surfing tuition for all ages, fresh organic meals, yoga workshops, and close proximity to a host of other holiday attractions, such as horseback riding, snorkeling excursions, and visits to a sea turtle sanctuary. The camps are located within walking distance of Montezuma, offering a unique family-friendly vacation.